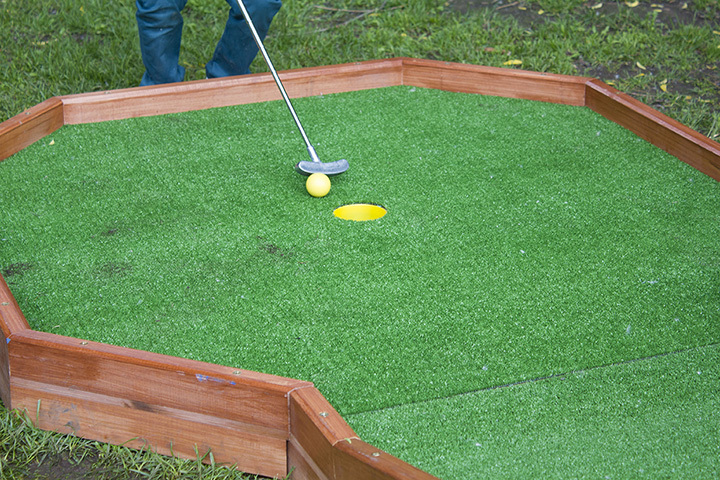 The 9 Best Mini Golf Courses in Mississippi! Mini golf is a great activity any time of year. Whether you're looking for an idea for a birthday party or a fun and unique date night, mini golf is a perfect outing. Here are our picks for the top 9 mini golf courses in Mississippi! Big Play in Biloxi has two 18-hole mini golf courses for guests to enjoy. Choose one or play both! Located across the street from the beach, you'll enjoy a Gulf breeze as you play. Adults and kids alike will want to stop in and play at the indoor arcade, which also features a full restaurant and bar. SEASONS Mini Golf is 36 fun holes of mini golf surrounded by fun water features and plenty of space to run around for the kids. In addition to the the course, there's also an open play area with trampolines, slides, and more, so make plans to stay all day! When the Scarlet Pearl Casino Resort decided to open a miniature golf course, they spared no expense. You'll be thrilled by the erupting volcano located right in the middle of the course. The heat from the volcano makes this a perfect stop when the weather is chilly! Snowden Grove Park is one of the finest youth sports complexes in the nation, so it's only natural that their indoor mini golf facility would be impressive as well. Stay comfortable as you play 36 holes of putt putt. While you're there, try out the indoor batting cages! Bananas Mini Golf in Gulfport is a relatively new facility that's winning over fans with its clean, attractive course as well as the frozen yogurt shop located inside the main building. They're known for having a friendly staff and, of course, their mascot Mr. Banana. House of Bounce is located in Saltillo, just outside of Tupelo. Their facility is home to bounce houses, an arcade, laser tag, and a 2,000-square-foot blacklight miniature golf course. Everyone will love the bright colors and fun music! Although the facility at Rebel Paintball is primarily a paintball park, they have an awesome mini golf course as well. Their unique layout includes sand traps in addition to the usual water hazards and other obstacles. Plan a group outing to combine paintball and miniature golf! Galactic Golf in Bay St. Louis is a fun indoor blacklight mini golf facility. Whether you're just playing one round or you want to reserve the party room, you're sure to have a great time in this psychedelic environment. You'll be glad for the air conditioning during those Mississippi summers! The Park at North Hills is a fun destination for birthday parties or just for something different to do on a day out. Enjoy go karts, laser tag, arcade games, indoor batting cages, and 18 holes of mini golf. With so much to do, no one will have an excuse for being bored!